Pop quiz: What’s the difference between “best by,” “sell by” or “expires on”? If you’re not sure, you aren’t alone. Americans toss out $165 billion worth of food each year, often out of safety concerns fueled by confusion about the meaning of the more than 10 different date labels used on packages. Grocery manufacturers and retailers are finally taking pity. 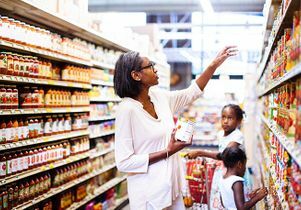 Recently, the Food Marketing Institute and Grocery Manufacturers Association announced they would voluntarily streamline date labels and begin using two standard phrases: “best if used by” for quality and “use by” for highly perishable items like meat, fish and cheese that can be dangerous to eat if they are too old. Food manufacturers will begin phasing in the change now, with widespread adoption expected by summer 2018. Food policy experts from across the University of California praised the new guidelines, calling them a positive step that could help consumers and the environment. About 40 percent of food in the United States goes uneaten — a staggering waste of money and sustenance, valued at roughly $165 billion per year. The grocery industry initiative calls for replacing phrases like “best before,” “better if used by” or “enjoy by” with only two standard phrases to limit confusion. The industry may have adopted the new guidelines to get ahead of legislators and regulators. Both state and federal legislation was introduced last year to address food date labels. In December, the U.S. Department of Agriculture issued guidance that encouraged food manufacturers and retailers to use a “best if used by” date label. It would help if the industry also provided guidance on how long to keep food packages after opening them, Cohen said. “It’s hard to know is this good or is this bad?” Cohen said. “Best if used by” describes product quality, where the product may not taste as expected after that date but is safe to consume. The grocery industry recommends that “use by” products should be consumed by the date listed on the package and disposed of after that date. Use common sense, said Harris, a UC Cooperative Extension specialist in food safety. Is it safe to make jam with a package of pectin one day past its “best before” date? Yes. Should you consume a refrigerated product past its “use by” date? No. When in doubt, if food is still good to eat after the “best before” date, look at it, Harris said. If it looks fine, you can smell it. If appropriate, feel the texture. If it passes those tests, go ahead and taste a little bit of it. If you’re not that precise, be practical. There are plenty of tools to help. If you have extra meat, freeze it. If there’s mold on soft cheese such as cottage cheese, discard it because the contamination is also likely far below the surface. If there’s mold on hard cheese such as cheddar, you can cut off an inch around and below the mold spot, and the rest should be OK to eat. Once you open a food package, those “best before” dates are less meaningful because you can significantly shorten the shelf life, Harris said. The USDA’s FoodKeeper app can further help you understand food and beverage storage for open packages, she said. “People need to take the time to understand what the dates mean, what spoilage is and how to properly handle food both before the package is opened and after,” Harris said. UC Berkeley graduate student Becky Mackelprang, who helped organize a panel discussion last year on food waste, said consumers can make a difference by changing behaviors. She will eat bruised fruit and drink milk that’s just past its expiration date. People don’t realize how much food they waste, she said. Except for infant formula, food product dating is not required by federal regulations. About 20 states have restrictions on food date labeling, such as “sell by” labeling laws on milk in Montana, said Roberts, the UCLA food policy expert. To further reduce food waste, it would help to pass laws that make it easier to compost and donate food, said Roberts, who noted the current date labels are confusing even to food companies. “There’s nothing really for them to lose by voluntarily complying with the association and institute’s guidelines,” Roberts said.